Who ever thought we would enjoy collecting, examining and writing about bakerlite? 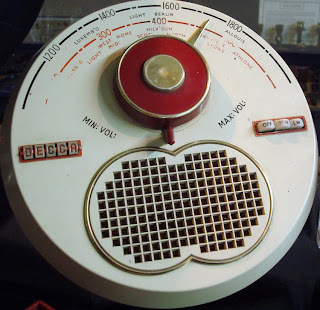 Although I would not have given up my bakerlite radio for anything in the world, it still struck me as ugly and smelly. But that raises an even better point. Everything that gets destroyed will never be available for future generations to treasure. I am thinking just now of the very fine Edwardian-Federation houses in Melbourne, pulled down for concrete blocks of flats. Gone... lost... an entire era demolished. 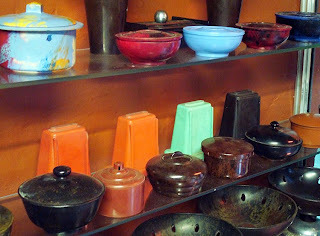 Always found Bakelite rather unpleasant material to handle; no idea why - just a reaction against the texture. But you've somehow contrived to transform what - to me - was an uninteresting topic into a compelling read. I even wish I'd visited the Museum in Williton while living in Somerset ;-)! Chapeau, Caroline, and thank you. Thank you! It's amazing how time changes our perceptions of ordinary items - we were overcome by nostalgia for the old telephones there, yet I remember the excitement of getting rid of one in favour of a modern, efficient push-button handset. 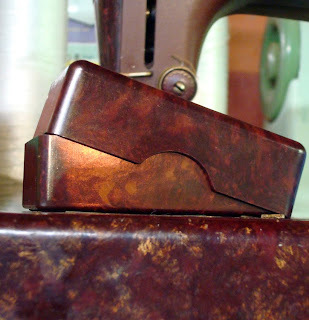 I think the first time I saw bakelite was the dashboard of a Ford Prefect. I didn't notice any dashboards in there, but it's quite possible that they have one and I missed it! My wife and I used to work for the Bank of England where the old desks incorporated a black bakerlite top. The bank finally threw them out 30+ years ago and allowed staff to take one if they wished. We still have ours in the garage! Hello, This is Patrick Cook, originator of the Bakelite Museum, Yes we have two Dashboards, one from a Ford Prefect and a Morris Series E. However more importantly the Museum is now under threat of closure after a number of visits from the Health and Safety fraternity and have imposed substantial and invasive demands upon the Grade 2 listed Mill. Whilst we naturally understand the safety of our visitors is important, a number of suggestions, demands, recommendations are not only onerous and detrimental, but threaten the very freedom and trust offered to our visitors. We deserve better than being patronised by a proliferation of 'designer' signs. security on each floor, monitoring of visitors, PAT testing of vintage exhibits ( because they have bakelite plugs on and a visitor 'may plug them in') The list is mainly hypothetical and generally unrealistic. A new exit for the top floor is a good idea and we are looking into positive ways of raising funds and raising awareness of the present inflexibility in the Fire and Health and Safety authorities that are not only closing museums, attractions, school outings etc but deeply affecting our manufacturers, industry and entreprenurial spirit in the UK.